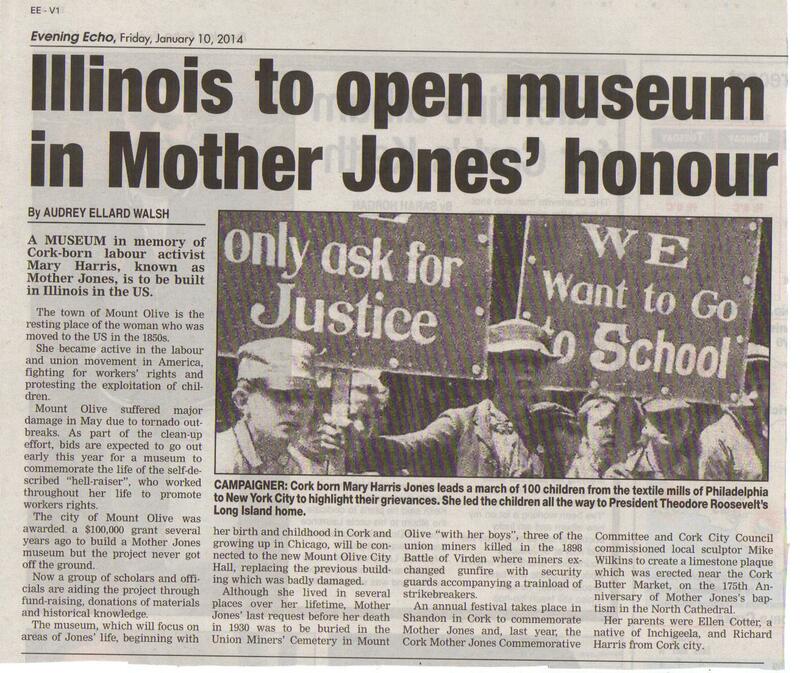 The town of Mount Olive, Illinois is the resting place of Mother Jones, born Mary Harris in Cork, Ireland in 1837. Mount Olive and surrounding areas of Illinois were devastated by a tornado in May 2013 and major damage was done to homes and public buildings. This included Mount Olive City Hall which is to be replaced. The good news for followers of Mother Jones is that beside the new City Hall is to be a brand new museum dedicated to Mother Jones. The story featured in the Illinois State Register-Journal, a local newspaper on 29th December and the story has now been picked up by the Cork Evening Echo.